BOSTON, Oct. 27, 2016 /PRNewswire/ -- Today DePuy Synthes Spine*, Part of the Johnson & Johnson Family of Companies, launched the SYNFIX® Evolution System, a new implant for stand-alone Anterior Lumbar Interbody Fusion (ALIF). The SYNFIX Evolution System delivers biomechanical stability to promote fusion and restore function, coupled with instrumentation designed to optimize surgical workflow. The System offers a broad range of implant options to accommodate a variety of patient anatomies. "Biomechanical stability in an implant is paramount," said Alexandre Rasouli, MD, Cedars-Sinai Medical Center. "It is the difference between a single stage surgery and a more involved multi-stage surgery that can increase complications and drive up costs." "DePuy Synthes has been a leader in providing solutions for stand-alone ALIF procedures for more than a decade, and we are committed to investing in this market to ensure we continue to meet the needs of our customers and patients," said Dan Wildman, Platform Leader, DePuy Synthes Spine. "The launch of the SYNFIX Evolution System shows that we continue to respond to our customers by developing a product that is easy to use while helping improve operating room efficiency." 1 Biomechanical comparison of stand-alone anterior lumbar interbody fusion devices with secured fixation: Four-screw locking plate vs Three-screw variable angle vs. blade fixation. Freeman, A, et al., et al. Las Vegas, USA : s.n., 2016. ISASS. 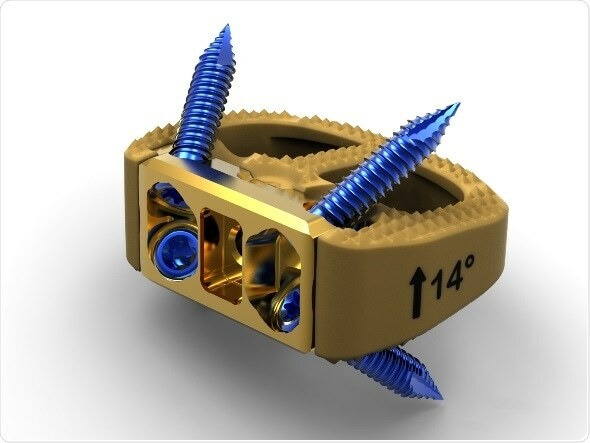 3 A new stand-alone anterior lumbar interbody fusion device: Biomechanical comparison with established fixation techniques. Cain, C MJ, et al., et al. 23, s.l. : Lippincott Williams & Wilkins, Inc, 2005, Spine, Vol. 30, pp. 2631-2636.